JET has just entered a 15-month-long period of refurbishment that will be concluded with a deuterium and tritium experiment. "We anticipate going beyond the previously achieved results of generated fusion energy," says Romanelli. Francesco Romanelli has been the EFDA Associate Leader for JET since July 2006. He graduated in Physics in 1980 and started his career as a research scientist at ENEA, Italy. In 1996, he became leader of the Magnetic Confinement Fusion Physics Section at ENEA. 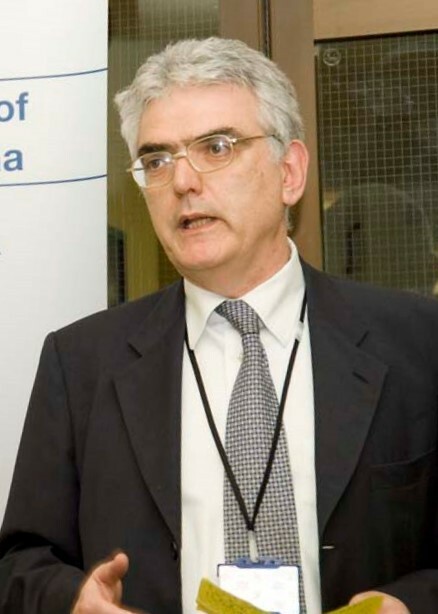 Francesco Romanelli is also a member of the ITER Science and Technology Advisory Committee (STAC). Newsline: Today begins the JET shutdown—the first step in a 15 month-long period of refurbishment. What exactly is planned during this period? Romanelli: During the shutdown period, we will remove all of the in-vessel components from the JET vacuum vessel that are presently made entirely of carbon materials. These will be replaced by a combination of beryllium and tungsten components, for the first wall and the divertor respectively, that will mimic the situation of the in-vessel components of ITER. In parallel, we will increase our diagnostic and control capabilities. On top of that, the heating power will be increased by about 50 percent bringing the neutral beam power available to the plasma from about 23 to 34 megawatts. Newsline: So the carbon tiles in the vessel will be exchanged for beryllium and tungsten tiles. What do physicists hope to learn from this experiment? Romanelli: We hope to fully demonstrate the capability of achieving high performance plasmas by using the same plasma-facing material as that foreseen for ITER. In doing so, we may bring forward the decision for the tungsten divertor installation at ITER, minimizing the time needed for the full ITER exploitation. We will conclude the shutdown period at JET with a deuterium and tritium experiment in which we anticipate to go beyond the previously achieved results of generated fusion energy. Newsline: What do you expect from JET's new tungsten divertor in terms of experimental results with regard to ITER? Romanelli: In order to maximize the machine's potential, we have to use a material with low deuterium and tritium retention to avoid having to clean the vessel too often. This is a concern for ITER, and we expect to rectify this by changing the carbon divertor to tungsten. Newsline: Most recently, just before the shutdown, you ran some high current experiments at JET. Can you explain the importance of these experiments? Romanelli: First of all, we need to characterize the behaviour of the plasma near its edge with the carbon wall, in order to have a reference for the study that will take place after the installation of the new beryllium wall. In addition to this, JET demonstrated its capability to run closer to its maximum performance with high current charges up to 4.5 MA that took place one week ago, achieving very interesting results. The increase in power will improve the accessibility of these conditions. Newsline: Fifteen months is a long period of time. How do the physicists on site keep themselves busy? Romanelli: We currently have approximately 350 scientists from Europe and 100 scientists from other international collaborators participating in the JET program. They will be involved in the analysis of the data taken over the last two years, a period in which we have done some very successful experiments. The results obtained have had an impact on both the ITER design and the preparation of its exploitation. In parallel we will start the preparation of the campaign beginning in 2011 with the newly appointed JET Task Force leaders.